It is very important topic that how Interfacing Proteus with Matlab is done? And it is obious that after interfacing Proteus with matlab lots of way is open for simulating microcontroller based project. 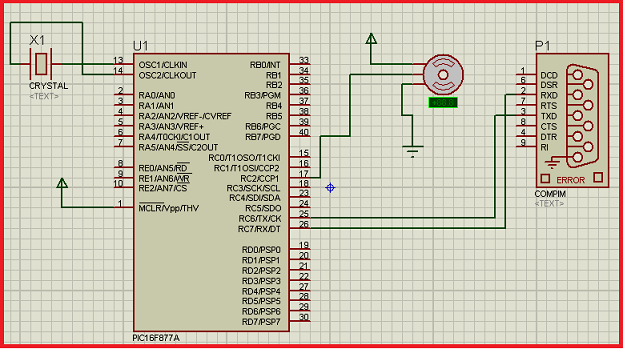 We know that in Proteus there has lack of sensor soif we done Interfacing Proteus with Matlab then we can easily introduce all blocks of matlab as a input or output device for microcontroller. Now question is how we shall do Interfacing Proteus with Matlab ? 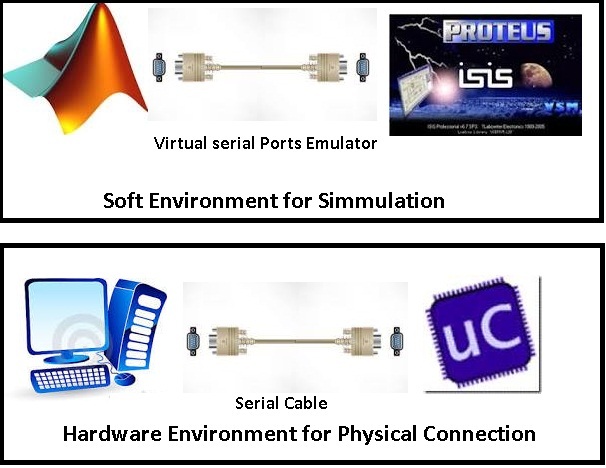 For Interfacing Proteus with Matlab we need support additional software (Virtual serial Ports Emulator) for making virtual com port and making pairing between the ports which are used to Interfacing Proteus with Matlab. So it is now clear that we can connect matlab with Proteus by serial Port. In bellow block diagram shows how it possible.